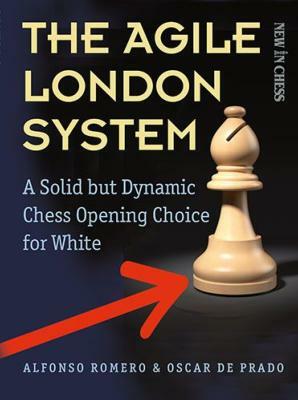 It is not difficult to understand why the London System is such a popular chess opening with club players all over the world. Against virtually every Black defence after 1.d4 it offers White an easy-to-learn and reliable set of lines with interesting choices between strategic or more aggressive approaches, while avoiding tons of opening theory. Lately an increasing number of Grandmasters such as Alexander Grischuk, Gata Kamsky, Baadur Jobava, Richard Rapport and even World Champion Magnus Carlsen have played the London System. In this light it is surprising that so little has been published about this fascinating universal weapon. GM Alfonso Romero and FM Oscar de Prado have now filled this gap. In The Agile London System they present both historical material and recent top-level examples to provide a comprehensive overview. Romero and De Prado explain the typical plans and tactics using illustrative games with clear verbal explanations, and provide lots of tactical and strategic exercises. The authors reveal the secrets behind sharp ideas such as the Barry Attack and the Jobava Attack and have added an exciting chapter on the hyper-aggressive Pereyra Attack, developed by the Argentinean master Manuel Pereyra Puebla. Une étude vraiment complète sur ce système.